“The Holy Family” is in the heart of Barcelona, my favorite city in Spain (though I’ve only spent time in a total of 5 Spanish cities). It was begun in the 19th century and in 1883 the controversial and perhaps visionary architect and artist Antonio Gaudi took over the task of completing the church. 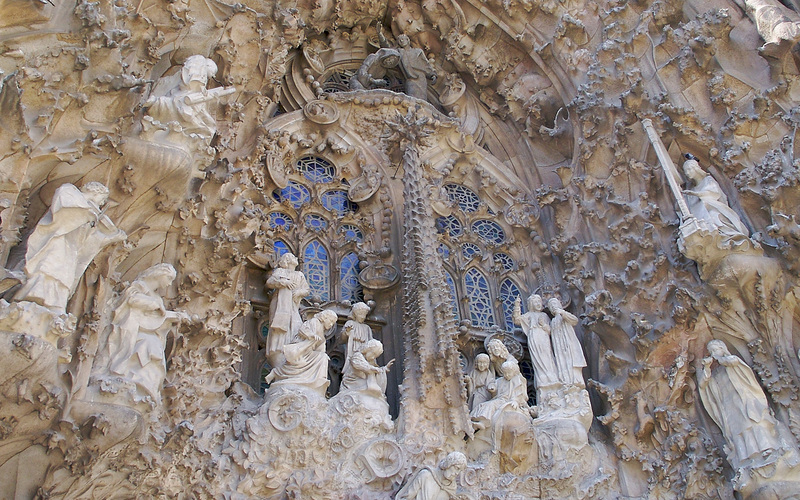 Gaudi died in 1926 and the church is still unfinished. The official “La Sagrada Familia” web site says that “the church could be finished some time in the first third of the 21st century.” To me it seems to be Barcelona’s equivalent of Korczak Ziolkowski’s “Crazy Horse” monument in that both are being funded entirely by private donations and both are taking forever to complete. The architecture and artwork of this place and photo is amazing.